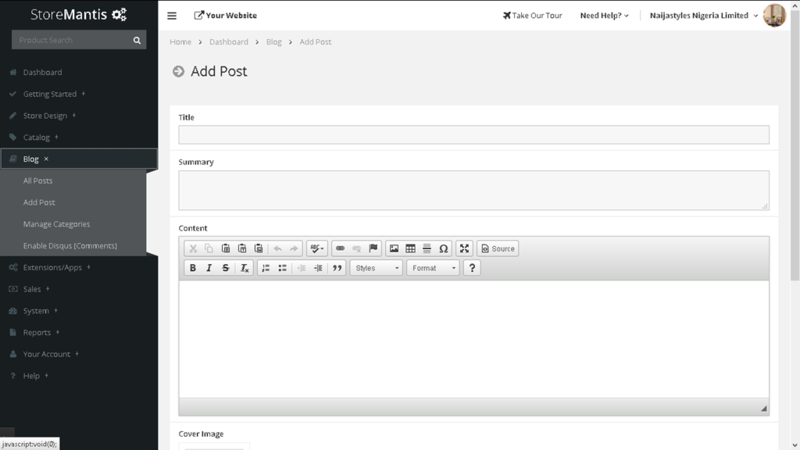 StoreMantis comes with an in-built blog feature that enables you to add an easy to use blog to your website. Blogging is an effective way to keep your customers up to date with your latest products and offers. Customers can also comment on posts . c. Content: The main body of the post. This field is a rich text editor than enables you to do advanced formatting as well as adding images. d. Cover Image: If you would like your post to have a main image associated with it, you can select it here. e. Enabled: Check this if you would like your post to be live on your site immediately. If you are not yet done editing your post, you can uncheck it. 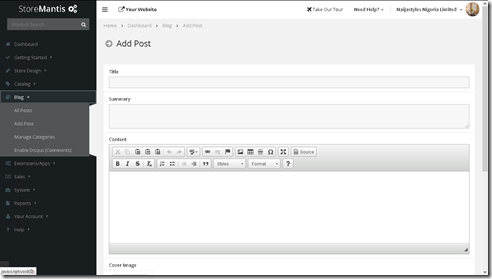 f. Categories: If you have created Blog Categories, you will be able to check the ones that the post should belong to.